A croupier and a security guard have been arrested on Thursday by the Judiciary Police (PJ) in Macau in connection with a heist at the Wynn Macau Casino. On Tuesday, almost HK$48 million (AU$7.6M) worth of gaming chips were stolen from one of the casino’s VIP rooms. 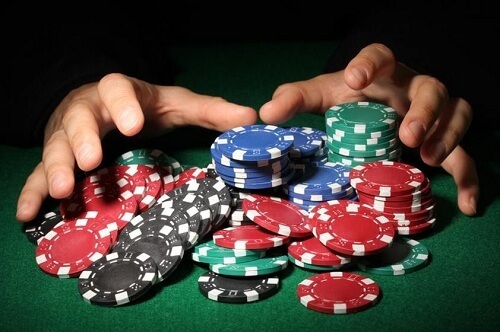 The dealer has since admitted to the crime but won’t disclose the whereabouts of the stolen casino chips. Meanwhile, the security guard denies the crime. Two men – who are apparently related to each other – have been arrested for stealing casino chips with a net of AU$7.6M at Wynn Macau. A casino owned by Steve Wynn – a gaming tycoon in the United States. According to reports, Lee (49), who was the casino dealer, bagged the gaming chips at the VIP area he was working on that day at around 7 AM when no gamblers were present. Only one other dealer was in the room. “[He] shouted at his female colleague, ordering her to stay quiet and lie on the gaming table,” said a police spokeswoman on Friday. “He then returned to his assigned gaming table and took out HK$47,895,000 worth of chips,” she said. After stuffing the chips into a bag, Lee fled the scene on a motorcycle. He then later met with Ho, the guard (70) at a neighbouring park with the casino chips, the spokeswoman added. Both men were residents in Macanese. According to reports, the casino croupier has admitted to the theft, but refuses to reveal where the stolen casino chips are. Meanwhile, Ho denies to committing any crime. The PJ said the gaming chips can only be exchanged for real money at casinos owned by the same operator. Lee said he had large gambling debts, according to Macau broadcaster, TDM. The dealer also revealed that the guard was his uncle.